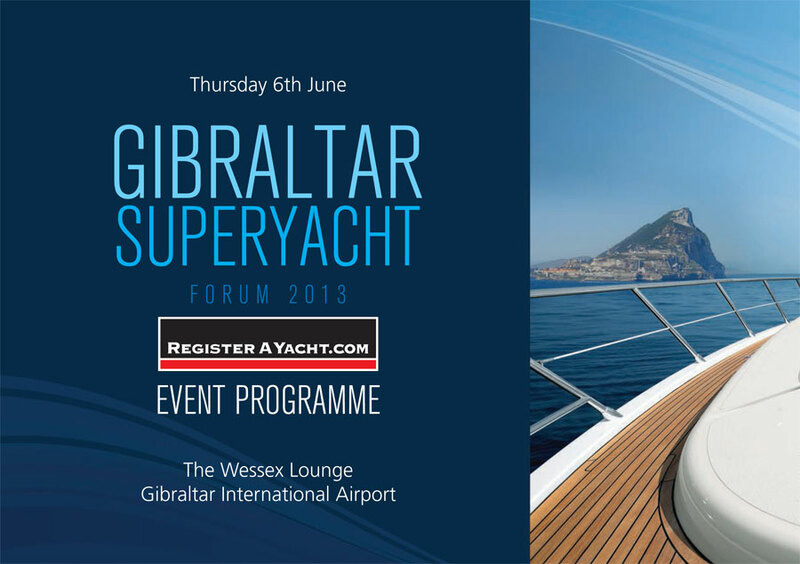 The second Gibraltar Superyacht Forum was held on June 6th at the new Gibraltar International Airport’s Wessex Lounge. Around 150 delegates from Gibraltar and beyond took the opportunity to discuss the challenges facing the industry and looked particularly at what was required to attract more superyacht activity to The Rock. After the official opening by Roy Stanbrook, Captain of the Port of Gibraltar and Ian Le Breton MD of Sovereign Trust Gibraltar there were a series of presentations and panel debates during which participation was actively encouraged from the attending delegates. Diana Soussi Avellano the Registrar of the Gibraltar Yacht Registry began by highlighting the existing advantages enjoyed by Gibraltar in attracting new yachts to the register. 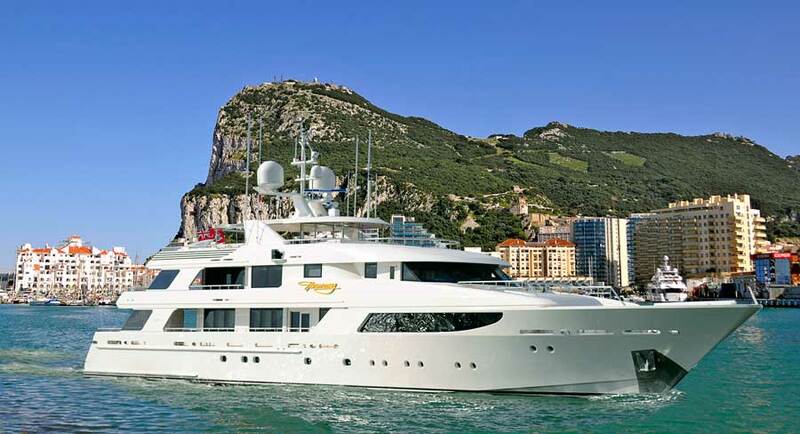 At present only around 51 yachts over 24m are registered in Gibraltar, a far lower number than competing registries such as the Isle of Man, Malta or the Cayman Islands. The Register has launched a new website that features a search facility for vessel information, electronic payment options and a 24 hour turn-around service. Vessels in Gibraltar fly a “defaced” Red Ensign and enjoy the same protection and consular support as UK vessels. Gibraltar offers both full and provisional registration with plans afoot to provide registration for yachts under construction – allowing mortgages to be taken out against the vessel and also offering greater protection against potential financial problems in the construction yard. The next session featured a marketing debate with participation and questions from the floor. Patrick Coote, Global Marketing Director of Fraser Yachts began by explaining the Fraser philosophy. He emphasized the importance of creating a unique brand image rather than attempting to mimic or develop existing techniques and presentation. In this most niche of businesses continual innovation is the key to success and this has been the main feature of Fraser’s marketing under his direction. The internet has become a vital marketing tool with the company’s main website at the heart of everything. Spending on the site has increased ten-fold to around £500,000 per year and social media activities largely sough to direct people to particular pages on this site where the company’s brand image was strongest. It was noted that in the luxury sector in particular personal service is imperative. Owners, captains and crew are treated extremely well in many destinations and a failure to live up to these standards will not encourage repeat visits or longer-term berthing. Cootes added that the second most popular area on their website was the photographs of their staff showing the importance of personal relationships. He noted that there were around 6,000 superyacht captains in the world and their marketing efforts were focused on building relationships with these key personnel, although the importance of agents too has increased in recent years as the financial costs of ownership have increased. A consensus in the room seemed to agree that trade shows had diminished in their importance and Patrick Cootes commented that companies must do more than provide a table and a couple of pull-up banners to attract clients and develop relationships. Fraser Yachts’ exhibition stand is now largely a bar/café area as they have found providing an amenable social space allowed a longer interaction and greater conversion levels with clients. With growing numbers of yachts and increasing sophistication of clients he also stressed the importance of marinas promoting attractions and facilities in their hinterland. Facilities such as luxury restaurants, top golf courses, schools and air links will encourage vessels to stay longer in a marina. This session focused on how to make ownership a more pleasant experience, recognizing that the burden of administration and management for some was become onerous. Adrian Jones, Head of VAT Services at Blackstar began by discussing the advantages Gibraltar enjoys with regard to VAT-free sailing within the EU. Temporary Importation Licenses allowing vessels to sail within the EU VAT-free are granted on an 18 month basis (can be extended to 24 months). Gibraltar is ideally situated for this as it is inside the EU but outside the Customs Union, a significant example over registers such as Malta or Isle of Man. Next the panel looked at the chaotic and changing situation with regard to VAT in French waters. The French Commercial Exemption has allowed, since 2003, boats to operate under local rules to determine if they are liable for VAT. Contributions from the panel and the floor all agreed that, despite pressure from the EU, there would be little change in these regulations during this summer’s Mediterranean sailing season. The disadvantages of SPV ownership where considered to be the administrative burden (everything for a vessel plus everything for the company) and the cost of the structure in fees, meaning that it was really only worth considering for larger vessels and racing boats. The main disadvantage can be when the owner wishes to sell the vessel as many private buyer will be wary of purchasing the shares of the company as they also inherit any unknown liabilities. The other danger is that the yacht may be purchased but then the previous owner dissolves the SPV and so any warranties or damage claims have no redress. Lara Higalgo, Head of International Division IBYC, then introduced delegates to the current situation regarding Matriculation Tax on Yachts in Spain. This deeply unpopular and regressive tax is a major dis-incentive to maritime activity in Spain and applies to any vessel over 8m owned or used by a Spanish tax resident. The Matriculation Tax is implemented differently by different regions in Spain, further muddying the waters and adding confusion. The usual level is 12% but in Andalucia the rate is 13.7% and as economic strains on local authorities in Spain increase compliance efforts by tax officers has increased. The panel heard how boats owned by EU and non-EU national based in Alcaidesa Marina (adjacent to Gibraltar) had been boarded by Spanish Tax Authorities looking to garner revenue from this tax. Another example given was of a UK owner who had his yacht moored in Palma. He wished to have some painting done on his vessel and engaged a local resident to carry out the work, as the painter had some distance to travel it was agreed that he would sleep on the yacht during the work. However the tax authorities questioned the man and decided that as a Spanish tax resident who had spent the night on the boat it was now liable for Matriculation Tax! The owner appealed the decision and won but then the Spanish Authorities appealed against this decision and they won – so he was liable for the tax. An expensive paint job! Lara closed by stating that research showed that abolition of the Matriculation Tax could create 51,000 new jobs in Spain and generate an income of c.€270 million for the beleaguered economy. In France they have calculated that they receive up to 30x the income from yachting activities than would be the case if tax were to be charged. The closing session was hosted by the dynamic Norma Trease, Director of Salamanca Group and looked at the issue of yachts in transit and what can be done to encourage the large number of visiting yachts to stay longer on The Rock. The consensus was that Gibraltar needed a “game-changer” to attract vessels from the traditional (and crowded!) cruising areas. This would ideally be in the form of shore berths that would allow vessels to undergo a full refit. The economic benefits from a stay and activity such as this are enormous for the hosting area as other facilities and companies move in to service the new demand. It was felt that a critical mass of around 10-15 berths (both on-shore and water-based) was required in order to generate a sufficient level of activity maximize the economic benefits. With most Mediterranean yards booked for up to three years in advance, investment in new facilities could reap instant rewards. The Forum closed with some closing remarks and a promise to build upon the relationships developed and to hold another Gibraltar Superyacht Forum in 2014.